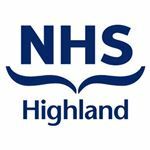 This is an excellent opportunity for a Receptionist/Administrator to join our team and aid in the smooth running of our Camaghael Health Centre Dental Clinic in Fort William. Experience of working as a receptionist, face to face contact with the public, excellent communication and organisational skills, together with the ability to prioritise workload to meet the demands of the department are essential. Experience of working in the NHS healthcare and/or Dental Services is desirable along with a full driving licence and use of car for work purposes.